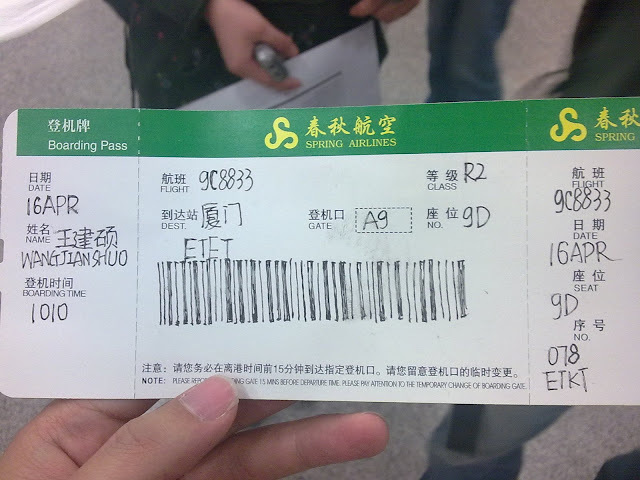 Dengjia got a blank Spring Airline boarding pass. He draw the pass according to his. and finally, everyone saw it and was very happy about it. This is the last day of my four day trip in Xiamen. I was OOB in the last few days (since April 13, 2009). The four day trip was too intensive that I didn’t find time to sit down to update a blog – I hope I should have posted something like OOB before hand. The special thing about this photo is, the islands in this picture is Jinmen, and it is under governence of Taiwan. 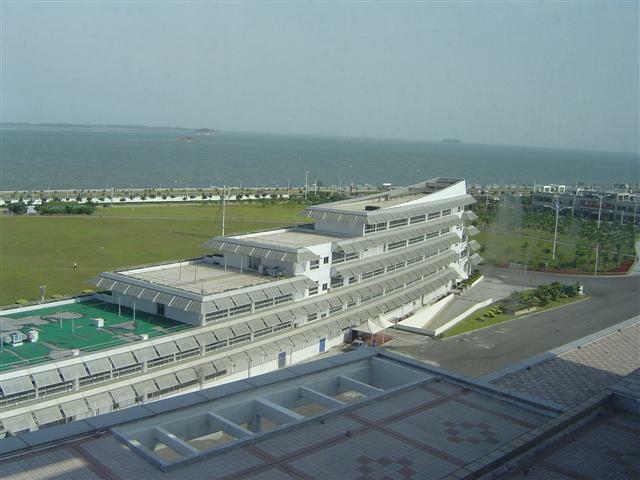 Xiamen is an amazing city, and I especially love the Asia Gulf Hotel – the villa near the sea. 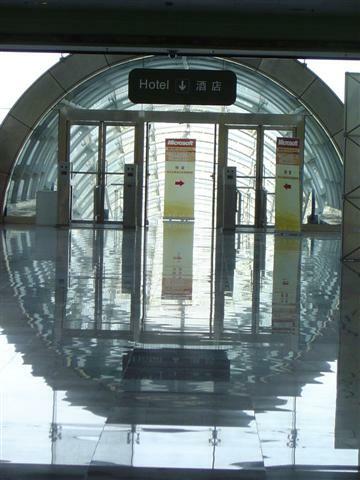 It is very like the hotels in Sanya, but on the cost side, it is much cheaper. It is said a standard room is 400 RMB or something, and the best suite near the sea in the villa is 800 RMB – comparing to the hotels in Yalong Bay in Sanya, it is still reasonable. Had a lot of fun in Xiamen. Dinner beside sea is great. Especially when you have white tablecloth, and wine glasses. Gulangyu Island is nice – just need to go there from late afternoon to night, not at day time – too many tourists, and too many people – the same observation from my trip to Tongli. Offsite meeting is a great idea. Combine meeting and outing is a good idea. If you visit Shanghai, you may want to visit nearby city like Hangzhou 杭州. If you have more budget, you won’t want to miss Beijing 北京. Shanghai does not present China. Beijing does. 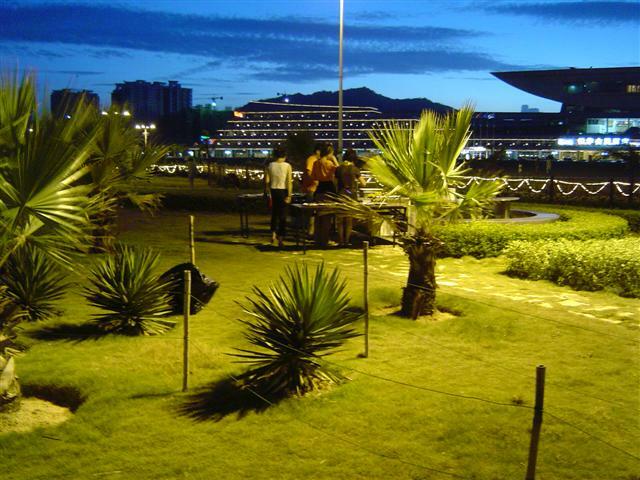 If you want to relax, and really enjoy sea, Sanya 三亚 is the city to go. If you want combined experience of both seashore, and city life, Dalian 大连, Qingdao 青岛 and Xiamen 厦门 are good choices. Xiamen is warmer than Shanghai. Xiamen has nice lakes and mountains. 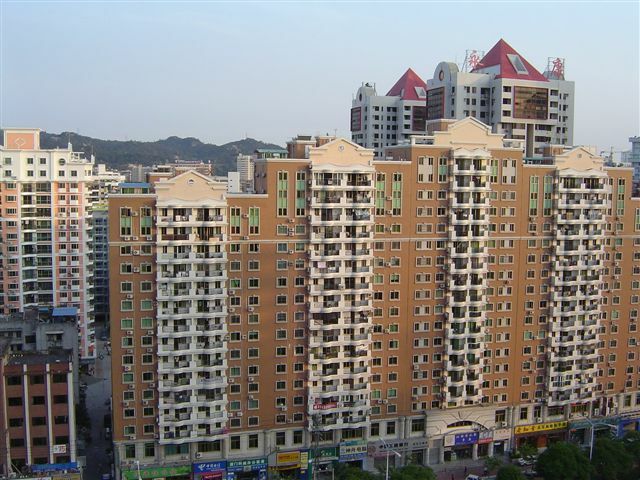 Xiamen is a modern city. Xiamen has more advanced economy than Fuzhou, the capital of the province, because it became the special development zone 20 years ago. I love the sea of Xiamen – blue. The sea near Shanghai is yellow. It is possible to swim in the sea, but not in April. The company kickoff meeting was held in Xiamen. So I attended the meeting. The following are some notes from the trip. This is the first time I realized that Xiamen is a small island – I didn’t noticed it in my last trip there. The Xiamen Island definitely looks like a garden on the sea. The distantages to travel by air is, the ignorance of the geographical relationships between the cities and the land. I didn’t realize it when I went by air. Regarding travel, if time and whether permit, I prefer to go by bike (I did before for my Taihu Lake trip) or even by foot (within the city), so the sense of the distance and directions is more clear. If I can drive (I am learning driving now), driving may also be a good choice. To take on a car driven by others will confuse me a lot, actually. There are many flights to Xiamen everyday. Besides MU (Eastern Airlines) and FM (Shanghai Airlines), Xiamen Airlines offer most of the flights between Shanghai and Xiamen. Based in Xiamen, the MF (Xiamen Airlines) is a new airline and I never flew with them before. We were hosted in Jin Yan Hotel, an hotel setup by the Xiamen Airlines. It is interesting that airlines even operate hotels. I read on this website about the ship M.V. Min Nam operating between Xiamen and Hongkong. I am very interested in it. I maybe will choose a route other than Xiamen to Hong Kong – maybe from Shanghai to Qingdao or Singapore…. People in Xiamen is nice and all the services people were most gracious and hospitable. It may because of the beautiful scene and the comfort whether where they grow up. This is my second trip to Xiamen so I didn’t visit places like Gulang Yu for the second time. In Xiamen, it is the first place I see to have special bicycle lane. It is built within the pedestrian. See the picture below. 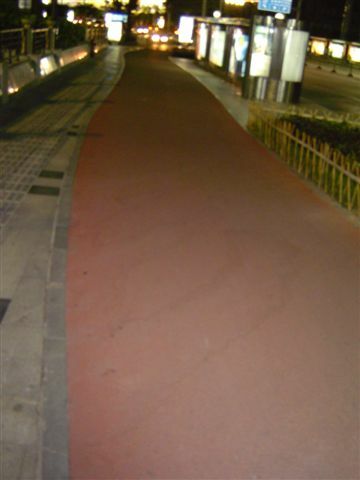 The red road is specially designed for bicycles, like a red carpet. The left side of the road is for walkers. As the effort to give more roads to cars, the original bicycle lane are marked as veichal lane. I think it is an innovative and good design. My meeting was hosted in the XIECC. It is a very nice place for large scale meetings. 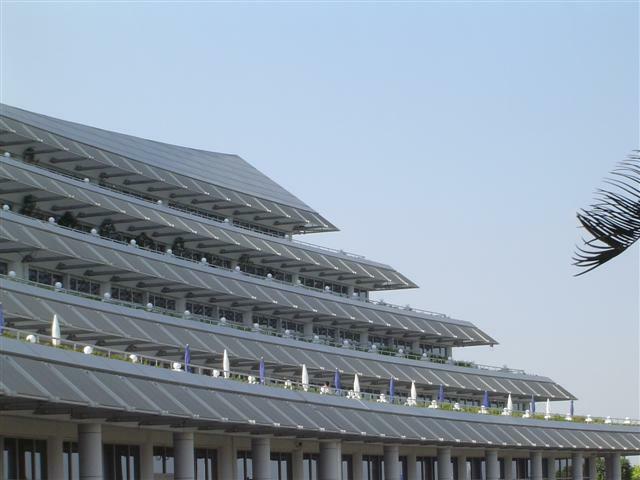 In my oppion, it is even better than the Shanghai International Exhibition Center. 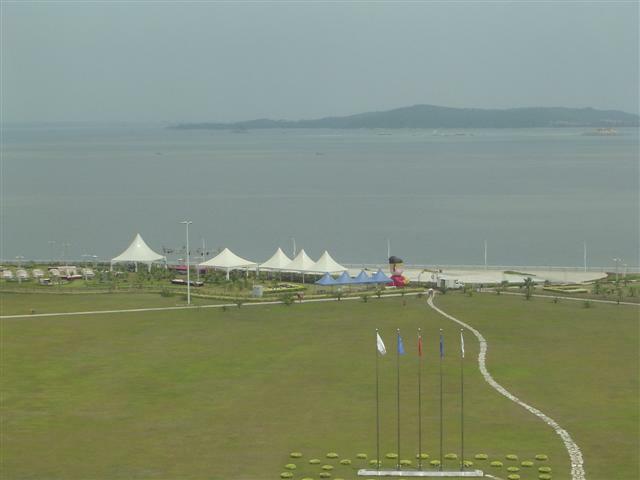 The center has very nice view, with sea shores just near by. The nearby Yue Hua Hotel. 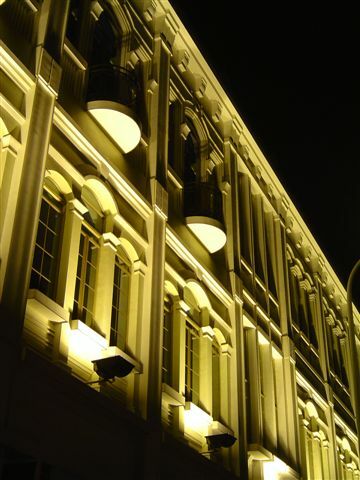 The night of the exhibition center. 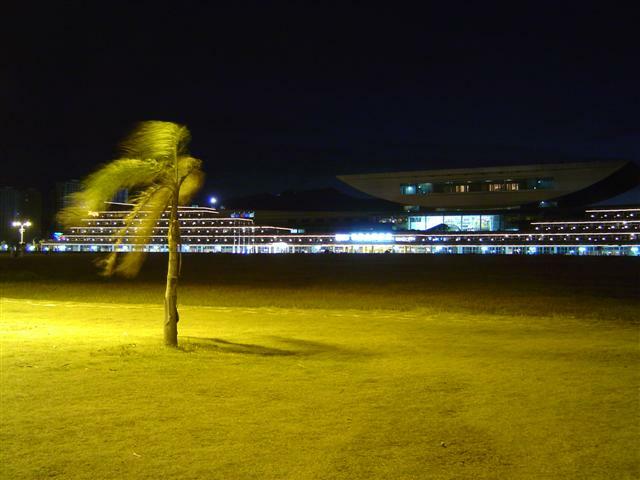 It was very nice time for me to seat on the grass before the center and face the wind from the sea. Below: If you are curious, this picture is taken by myself – the person on the picture. I held the camera toward myself and clicked on the shutter button. 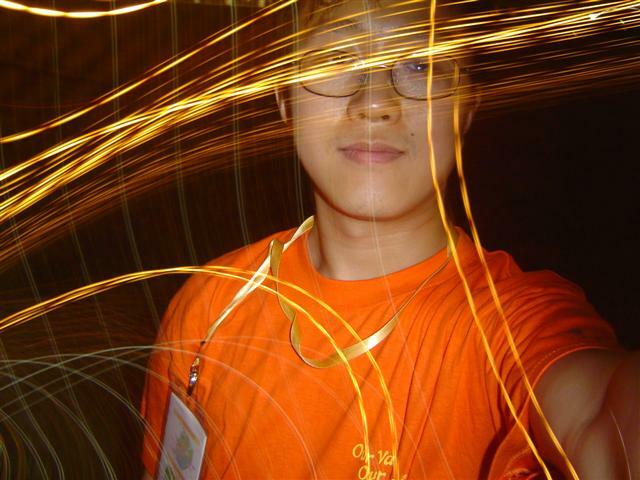 The lights were from the exhibition center, the building behind me. This effect is attributed to the scene mode of my Sony P8. 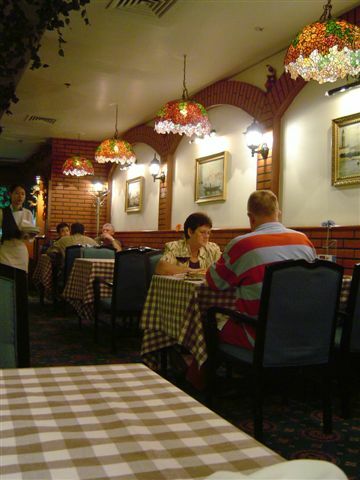 It offers portrait and scene at night mode. In this mode, the camera first flash to lighten the foregroud portrait and then open the shutter for about 1 second to allow enough exposure for the scene at the background. At this time, I just moved the camera to produce the lines of the lights. 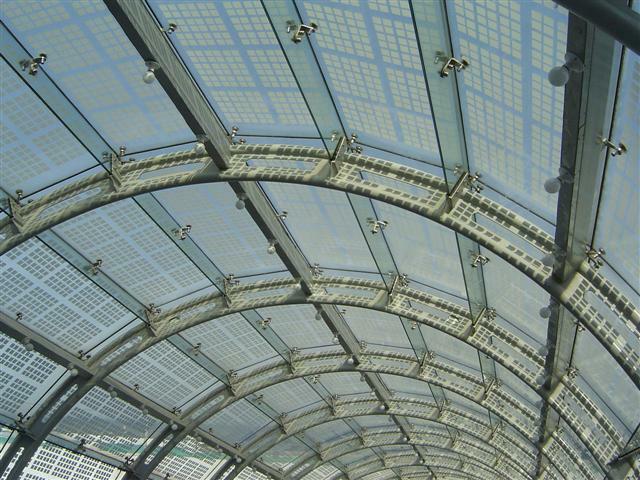 Below: Class and steel are widely used in the airport, conference centers and other buildings in Xiamen. I arrived in Xiamen in the crazy hot season today. 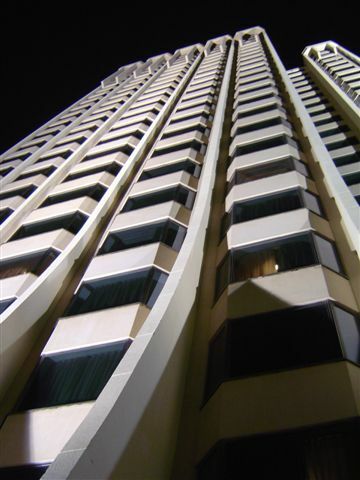 Below: This is the front end of the Holiday Inn where I stayed.. The old building near Zhen Hai Road – just out of the east door of Holiday Inn. Residential building on Hu Bin South Road.